The origins of this English-language children's song are obscure. The earliest extant record is a version noted in Anne Gilchrist's Journal of the English Folk Dance and Song Society (1937), learnt from her Welsh nurse in the 1870s under the title “Jack Jintle”. A similar version was included in Cecil Sharp and Sabine Baring-Gould's English Folk-Songs for Schools, published in 1906. It was collected several times in England in the early twentieth century with a variety of lyrics. Detective Columbo whistles this tune in almost every episode of the famous TV series. 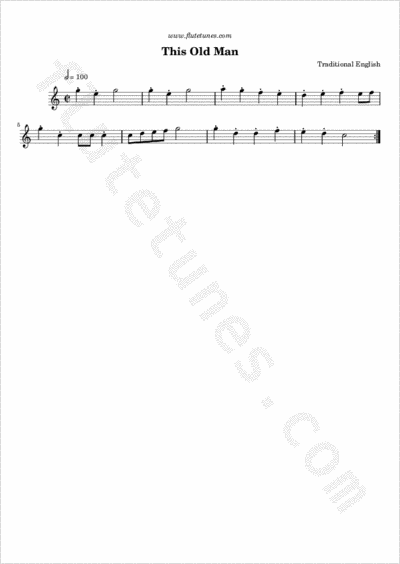 It also appears as a motif in the musical score.